AS Lajos is 100% based on Estonian private capital and was established in 1992. The company started out with two employees and offered transport services in Estonia. To keep up with the growing business, the company had employed 15 people by the end of the year and started offering international transport throughout the Baltic States and Central and Eastern European countries. In 1995, the service space of the repair workshop was expanded, the volume of repair services increased and the company started to provide repair services to other companies and private clients. In 1997, a spare parts store was opened in Kunda. By 1998, the company had grown expansively: the company had added various transport services and established several departments to make the handling of its daily business faster and smoother. 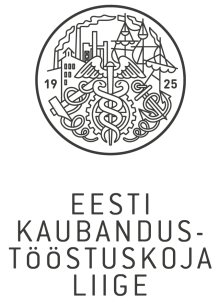 The turn of the century brought many changes into the economic life of companies in Estonia because the Republic of Estonia became a Member State of the European Union. The exchange of goods with other EU Member States increased and companies started to expand their businesses. A subsidiary of Lajos was opened in Latvia in 2008 and in Lithuania in 2010. Currently, we employ 60 people. From spring 2012, the repair services of trucks and trailers have been offered by ELER Hydraulic OÜ, a cooperation partner of AS Lajos. AS Lajos has been a stable and reliable provider of transport services to its clients. Surveys and feedback from larger cooperation partners attest to this. The company takes responsibility and ensures that every load arrives at its destination without problems and by the agreed time. AS Lajos has attained a waste permit for the transport of non-hazardous waste, urban waste and waste metal and a hazardous waste handling licence in Estonia and Sweden. The company has road carrier liability insurance and makes ADR compliant deliveries. AS Lajos is a member of the Association of Estonian International Road Carriers and the Estonian Chamber of Commerce and Industry. The founder and soul of AS Lajos is Einar Vallbaum. Einar’s interest in mechanics and cars developed at home, the basic truths about cars he learned at school and his first job as a driver for Sovtransauto (Soviet-time state company) gave him valuable practical experience. Towards the end of the Soviet period, he had an idea to establish his own company, use all his acquired knowledge and skills and pass them on to others. The company was registered in 1992 under the name of Lajos. While the company mainly transported goods in Estonia and Baltic countries during the first years of business, the developing economy increased the demand for transport services in Western Europe. This entailed offering a completely new service and required a new way of communication and responsibility. The experience and knowledge that Einar had acquired when establishing and managing his own company and the growing interest in the field of haulage and transport led him to the position of president of the Association of Estonian International Road Carriers during 2003-2009. He was re-elected to this position in 2015. Einar was a member of the Council of the Estonian Employers’ Confederation in 2003-2009 and was re-elected on 19 April 2016. Einar was a member of Riigikogu (Estonian Parliament) in 2015-2017. Today Einar is the member of the Board of AS Lajos and shares his wide experiences with his son who is now the company’s CEO. AS Lajos is a family business where the ideas and experience of the father are passed on to the son. We take responsibility and find ways to turn problems in the transport sector into successful solutions! By active communication and thinking things through, we guide the transport sector in Estonia and the entire world towards continued development! The company takes responsibility and ensures that every load arrives at its destination without problems and in a timely manner. AS Lajos has attained a waste permit for the transport of non-hazardous waste, urban waste and waste metal and a hazardous waste handling licence in Estonia and Sweden. The company has also road carrier liability insurance and makes ADR compliant deliveries. "Lajos is a long-term cooperation partner of our company that meets all its contractual obligations and they do not bury their head in the sand when something unexpected occurs. They are professional in what they do and communication with them is always clear and straightforward." "To date, the logistics specialists at Lajos have always found a quick solution to our transport-related issues. What is especially important is that their value for money is good. We wish every success to the Lajos logistics personnel in future!" "AS Lajos is a very good and long-term cooperation partner of Kuusakoski!"